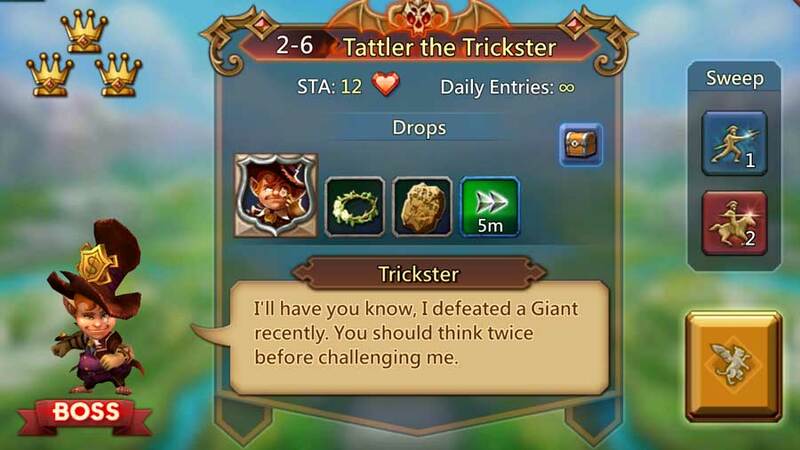 Trickster is undoubtedly one of the top heroes in Lords Mobile. Read this article to learn everything that you’ll need to know about this powerful (and very weird) hero. 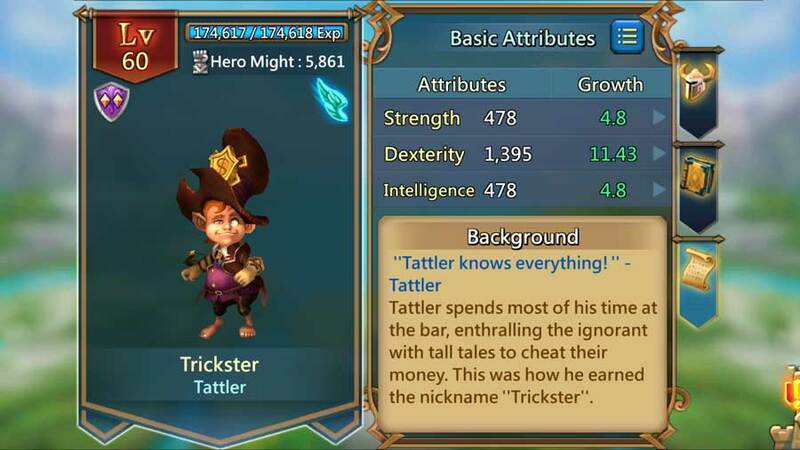 Like all the Heroes in Lords Mobile, the Trickster has a backstory that makes no sense and borders on juvenile. Usually, they try a little. This time there was no effort put into his backstory. It is one sentence and that’s it! 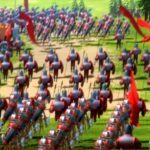 Attention Lords Mobile: You can pay me to write the backstories. I will actually make it interesting! Contact me. Yes. That really tells us about Trickster. 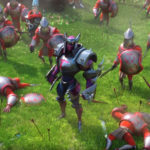 Ten points for the Lords Mobile Creative Team! Trickster is a hard hero to give a score to. As you will see below, he has polarized skills! Some of his talents are incredible and some are useless. His Colosseum Skills are fantastic. He’s a part of my favorite lineup in the Colosseum. He has a powerful ATK skill and is a great asset with anything involving physical attacking. The graphics and animation of Trickster are mediocre at best. Not much time was put into creating this character. It’s almost as if they put all the energy into making his stats good and decided to smoke weed when planning the actual character. My score for Trickster is 8.5/10. Research 25% when maxed to Gold! Please note, for the dumb readers, the Trickster doesn’t have to be the leader in order for the research boost to be active. At 2,708 ATK the Trickster has the strongest Attack skills out of all the Free to Play Heroes. His HP for an agile hero is slightly above average. He is a Range Hero and will add +10,000 troops to the battle, but he is the worst Range Hero to use. In short, he should part of almost all attack hero formations. How to Unlock the Trickster? The Trickster can be unlocked rather early. He’s first seen in Elite 2-6 and can also be found in Elite 6-6. There are several techniques to use when trying to unlock (and win) the Trickster Hero. The formation that I prefer is Black Crow, Night Raven, Oath Keeper, Bombin’ Goblin, and Death Archer. The heroes don’t have to be at a very high level. Anywhere in the Level 30 area and you should be fine. To see my full guide on how to find success in the Colosseum, click here. The good news, if you read that article is, that you will discover my preference for using the Trickster in the common lineup. Tricksters clear advantages are his dodging techniques and his very powerful attack. His ultimate-attack sounds really good in theory, but I fail to see its power in actual battle. My favorite lineup contains the Trickster. The lineup consists of Tracker, Trickster, Rose Knight, Prima Donna, and Black Crow. To learn more about the lineups go the article linked above. Trickster is Free to Play. There are Pay to Play alternatives that are far better than Trickster. 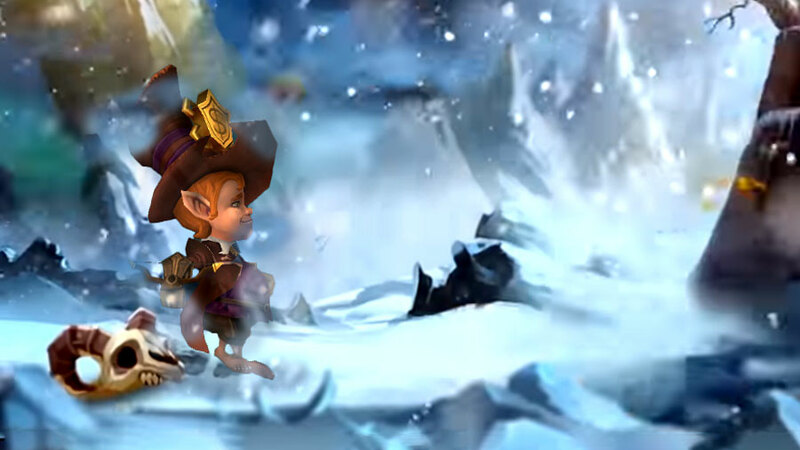 Of course, you will have to pay a lot of money to bring those heroes to gold.